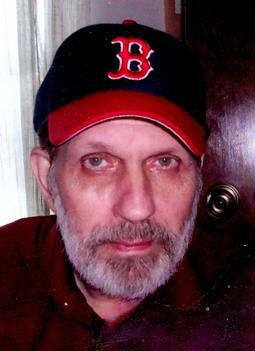 Portland, ME – Michael P. Roy, 68, formerly of Waterville, passed away peacefully on Thursday, January 4, 2018 at Seaside Healthcare in Portland, ME. He was born in Waterville, ME on July 16, 1949 a son of the late Philip and Claudia (Thibodeau) Roy. He attended Waterville Schools and graduated in 1968. He was a US Army Veteran. He is survived by his sister Patricia (Franklin) Jacobitz of Marshfield WI, a nephew Brian (Jamie) Butkiewicz of Bolingbrook, IL, two nieces Lisa Moczynski of Coal City, IL and Karyn Fitt (Pete Guggino) of St. Pete Beach, FL. He also lovingly leaves grandnieces Sara, Lauren, Katie, Natalie and a great grandniece McKenzie. The family wishes to express a heartfelt thank you to the staff at Seaside for their compassionate care of Michael over the last ten years, and to all of his friends there. Veilleux Funeral Home, 8 Elm Street Waterville will be in charge of a private burial service in the spring of 2018.